We bake our own hams whole, without pumping them full of any artificial nastiness or using reformed meat. 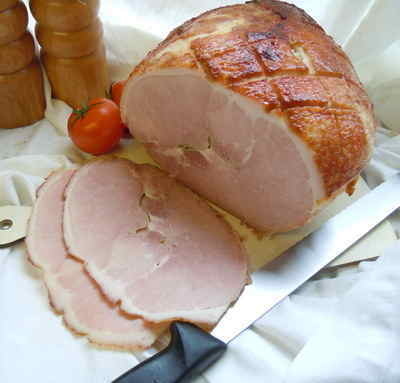 This is proper ham, baked from delicious English pork, then honey roasted with our secret recipe coating. A sandwich essential.